Science and technology minister, Mmamoloko Kubayi-Ngubane. The new draft White Paper on Science, Technology and Innovation (STI) is out for public comment. 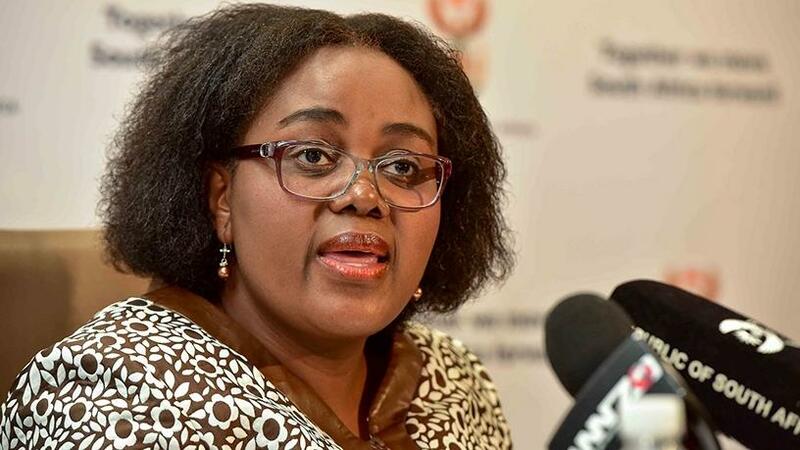 Members of the public have 30 days to make inputs, which will be integrated into the final document to be approved by Cabinet, science and technology minister, Mmamoloko Kubayi-Ngubane, said today. Kubayi-Ngubane says the paper is a milestone long-term policy direction for the next five to 15 years for government to ensure a growing role for STI in a prosperous and inclusive society in which the potential of all South Africans is realised. The draft paper has considered megatrends spanning the geopolitical, economic, social, technological and environmental spheres. It aims to help SA benefit from global developments such as rapid technological advancement and geopolitical and demographic shifts brought by the fourth industrial revolution. It will ensure the growing role of STI in building a more prosperous and inclusive society, while accelerating inclusive economic growth and making the economy more inclusive. Kubayi-Ngubane said the draft policy focuses on ensuring that SA benefits from STI for economic growth, social development and transformation. It also seeks to respond to the risks and opportunities brought by rapid global technological advancement and other global changes. "STI lies at the heart of the preparation for this emerging future and South Africa, therefore, needs to build on progress in areas such as biotechnology, nanotechnology, advanced manufacturing, and ICT research and innovation. "This White Paper proposes policy interventions to accelerate skills development, leverage ICT, commit to openness and support inter and transdisciplinary research. It also puts in place mechanisms to institutionalise foresight capacity to assist collaborative planning across government for STI." Despite steady increases in enrolment at schools and universities, a study by the Human Sciences Research Council (HSRC) shows that South Africans continue to underperform in mathematics and science compared with other countries. The skills base is not expanding fast enough to drive economic growth and create jobs. Kubayi-Ngubane is of the view that STI can be instrumental in improving public service delivery and decision-making for public policy and forming new technology-based firms. STI is used to modernise existing industries such as agriculture and mining; develop emerging industries such as those linked to the next industrial revolution; exploite new sources of economic growth such as green industries; improve the quality of life of South Africans, particularly in poor communities, through improved educational and health outcomes, and promote environmental custodianship to safeguard the future, she noted. The overview of the White Paper focuses on five points such as raising the profile of STI in SA by instilling an innovation culture in South African society and integrating STI into cross-cutting government planning at the highest levels. This is set to put the innovation agenda at the highest level of government and business so that all actors pursue the same objectives and pool resources where possible, said Kubayi-Ngubane. The Presidency will chair a STI Plenary meeting involving business leaders, academic experts in the field of STI, government departments that have a focus on STI, and leaders from civil society. Secondly, the draft paper will focus on strengthening partnerships between business, government, academia and civil society, creating a more enabling environment for STI. Government says these partnerships will put a strong focus on including business in STI planning, adding that this will be done at the level of the STI Plenary. Sectors such as mining and agricultural will also be brought into the fold by means of support measures for business, incentives for small and medium enterprises and the direct funding of research and development through Sector Innovation Funds. Civil society will be empowered to distribute the benefits of technology to communities, as well as to help identify and support grassroots innovators. The third core emphasis of the paper focuses on innovation for social benefit and for fundamental economic transformation. According to the draft paper, civil society will be involved in high-level government planning for STI programmes and will be supported by training, funding and networks to play a stronger role. There will also be support for grassroots and social innovation, when linked to provincial and local development strategies, with the hope that this will have significant transformative results. The fourth focus of the paper is on expanding and transforming the human resource base of the national system of innovation. With this segment, the paper hopes to develop a policy nexus to achieve collaboration, increase funding, and policy coherence to improve educational outcomes from early childhood and school level in order to increase the number of Grade 12 university exemption passes with science and mathematics. In higher education, the target is to increase the number of PhDs produced and the representation of blacks and women will improve. Internships and training opportunities abroad are to be expanded, while the untapped potential of historically disadvantaged universities and universities of technology will be maximised. The fifth focus of the draft paper is on increasing investment, both public and private, in STI. Currently, South Africa's gross expenditure on research and development as a percentage of GDP, which is currently about 0.76%, needs to be increased to 1.5% over the next decade, says government. The policy hopes to achieve this through improved incentives for business R&D, contributions to public STI by provincial governments, and expanding measures to attract foreign funding for South African STI. A linked national STI agenda will be developed to direct the allocation of public funding to priority STI programmes. Another key feature in the policy is the creation of an enabling environment for STI by getting government departments working in areas that affect STI to embrace a national innovation compact to ensure that there is policy coherence across the national innovation system. The various incentives offered by government for STI will be aligned to ensure synergy and avoid duplication. Local innovation systems will be stimulated by, for example, walk-in innovation centres for communities and more incubators, while encouraging the involvement of local universities. Kubayi-Ngubane said the policy actions proposed here will be implemented according to decadal plans informed by technology foresight studies and consultation with all implementation partners across government, business, academia and civil society to ensure policy coherence and certainty. The decadal plans will detail technology focus areas, programmes to be initiated, institutional arrangements and funding required for these programmes, and ways to evaluate their performance. They will be reviewed and updated every five years or as deemed appropriate by the Department of Science and Technology. "The truest test of this White Paper will be the impact that it has on realising the potential of STI to support the achievement of the National Development Plan and to help change the reality of South African's lives over time," said the minister.